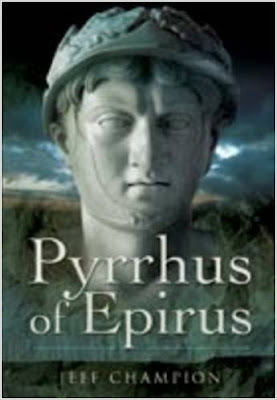 Pyrrhus was born into the royal house of Epirus, northwest Greece, but his mother was forced to flee into exile to protect his life when he was a mere infant. Yet he prospered in troubled times and rose from a refugee to a king. Always an adventurer he was deeply involved in the cut-and-thrust campaigning, coups and subterfuges of the Successor kingdoms. At various times he was king of Epirus (twice), Macedon (twice) and Sicily, as well as overlord of much of southern Italy. In 281 BC he was invited by the southern Italian states to defend them against the aggressive expansion of the Rome. His early victories at Heraclea and Asculum were so hard-fought that a 'Pyrrhic victory' still means one gained at crippling cost. These were the first fascinating duels between the developing Roman legions and the hitherto-dominant Hellenistic way of war with its pike phalanxes and elephants. Pyrrhus ultimately failed in Italy and Sicily but went on to further military adventures in Greece, eventually being killed while storming the city of Argos.